400 W Rich Street in East Franklinton began a new chapter when it opened its doors to local artists on July 1, 2011. Twelve studios and a handful of adventurous tenants served as the beginning steps for transforming this former industrial, manufacturing warehouse into a dynamic, multi-functional arts complex, located within walking distance of downtown Columbus. 400 has since grown to become a home away from home to over 140 Columbus based artists, craftsman, designers and performers. 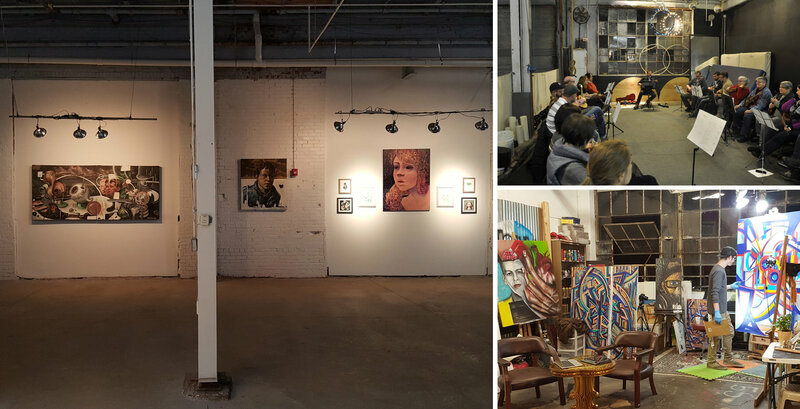 The building functions as an all inclusive, artistic community in the heart of East Franklinton and offers not only studio space, but a place for the creative class to meet, network, collaborate, brainstorm and do what they do best…create. Proud home of Strongwater Columbus, restaurant, bar and event space.